URBANA, Ill. – Many dog owners think of their furry companions as part of the family, and now products are available to feed them that way, too. Some owners are moving away from traditional extruded kibble products, instead choosing ultra-premium fresh and raw diets found in the refrigerated aisle. 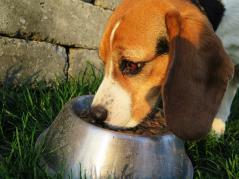 The foods may look more similar to what we’d feed a member of the family, but many of the newer diets haven’t been rigorously tested for performance in dogs.